Buying and fitting your shells couldn’t be simpler. Here are the answers to our most frequently asked questions below… but for anything else, please get in touch. Yes absolutely. Helmet Angel shells come with excellent padding, so they are very comfortable, and can be fitted securely to a child’s existing safety helmet to enable them to hear more easily and be aware of everything around them when they are out riding on their own or with friends. If you would like to put in a bulk order for your school, please get in touch to discuss pricing. Yes, we can produce bespoke decals bearing your specific image or company logo, and shells of any colour. This service is available for orders of 500 units and over. Please get in touch to discuss your requirements with us, and we will be happy to help. Have they been properly tested? Helmet Angel shells are built to last, and the fabric inners are connected using velcro. This means that they can easily be removed for cleaning. To clean the fabric inners, sponge gently with a damp cloth and reattach. A pair of Helmet Angel shells worn securely on a cycle helmet strap will help divert the air around the ear to eliminate wind noise and help you hear noises around you more clearly when you are on the move, particularly those from behind. They also protect your ears from the elements and help keep you warmer when cycling at speed. I am a skateboarder / motorcylist / horse-rider. Will Helmet Angel shells work for me? Currently, Helmet Angel shells are designed specifically to be worn on cycling helmets. As skateboarding, motorcycle and horseriding helmet straps are constructed differently, we cannot guarantee that the Helmet Angel shells will fit these types of helmets too. However we hope to be able to offer adapted Helmet Angel shells for these sports in the future. The Terms and Conditions for Helmet Angel are accessible via the footer at the bottom of the page. Here is also a direct link. The Helmet Angel shells are designed for Cyclists of all ages and stages, everywhere! They clip onto adult helmets and child helmets very easily, and one size fits all. 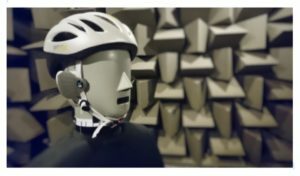 Commuters and Road Cyclists: By wearing the shells on a daily commute, or on a weekend cycle into the hills, you will hear traffic noise much more easily. Our fluorescent yellow ‘Solar’ shells and luminous white ‘Aurora’ shells also help you to be seen more easily at dawn, dusk and at night. Cycling Teams: Club members who are out cycling together will more easily hear commands from team-mates, and hear approaching competitors coming much more quickly! As well as keeping you safe on the road, the shells are also ideal for keeping your ears warm when racing at speed. Parents/Family/Groups: Cycling together as a family can be tricky – it is hard to keep everyone together! 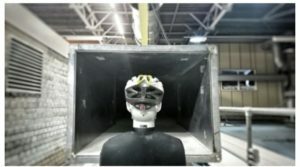 The Helmet Angel shells will help the whole group hear better on the move, so that you can more easily share commands and warnings with each other more effectively, and talk to each other on the move. Children: Helmet Angel shells fitted securely to a child’s existing safety helmet will enable them to hear more easily and be aware of everything around them when they are out riding on their own or with friends. Why should I wear them? The Helmet Angel shells fit well on your helmet, keep your ears warm, help you to look stylish on your bike – and crucially, are a life-saver. Their aerodynamic design will help you hear what is happening behind you more clearly and more quickly when you’re travelling at speed, so that you have more time to react to what is around you on the move, and stay safe.